I got a very nice M35x upgrade from Hertz in LA this visit. 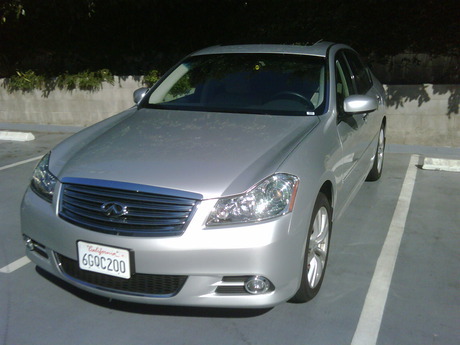 It was one of the better rental cars I’ve had and a nice conclusion to 7 rentals in a row. The car is fast, comfortable, and quiet. 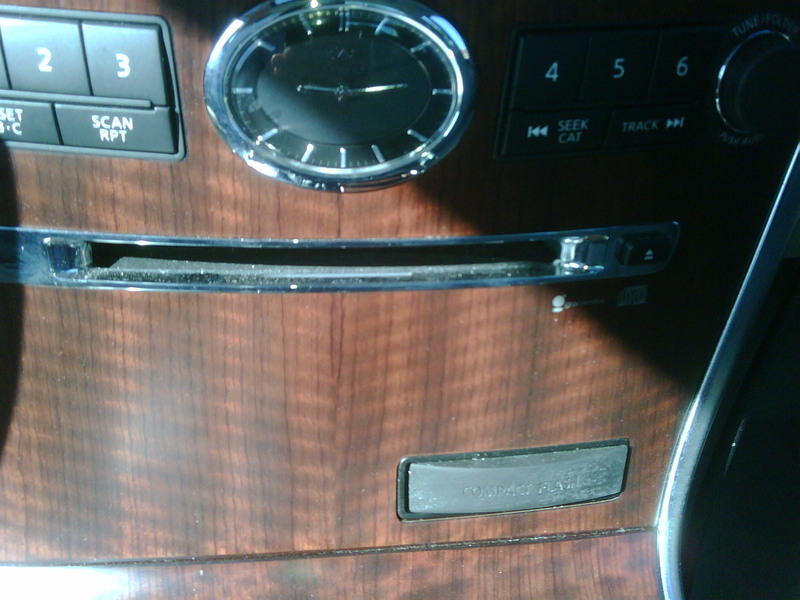 The stereo sounded very good, there was in-dash GPS, refrigerated seats (! ), and some other good features. 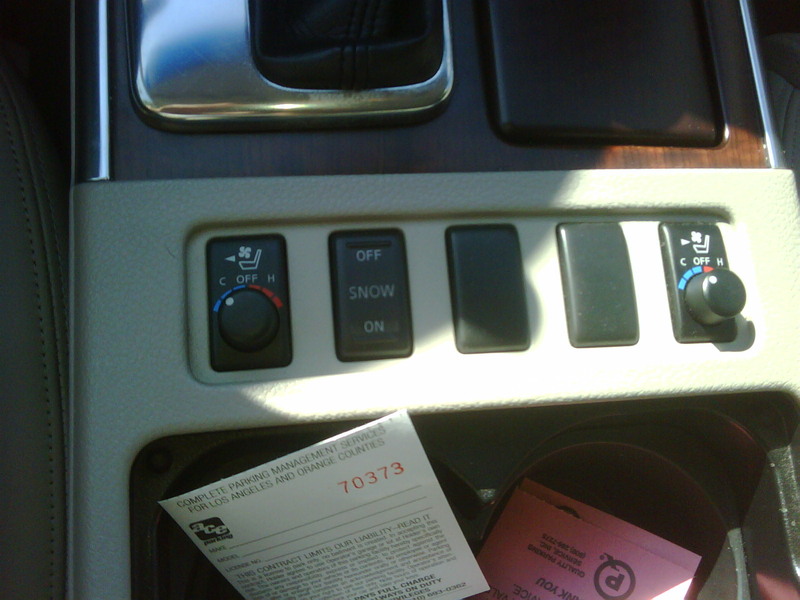 The control dash is a bit over the top. The radio/temp/GPS control panel is via a big knob in a near horizontal format that made it fairly difficult to find the controls one wanted while driving, probably my only complaint. 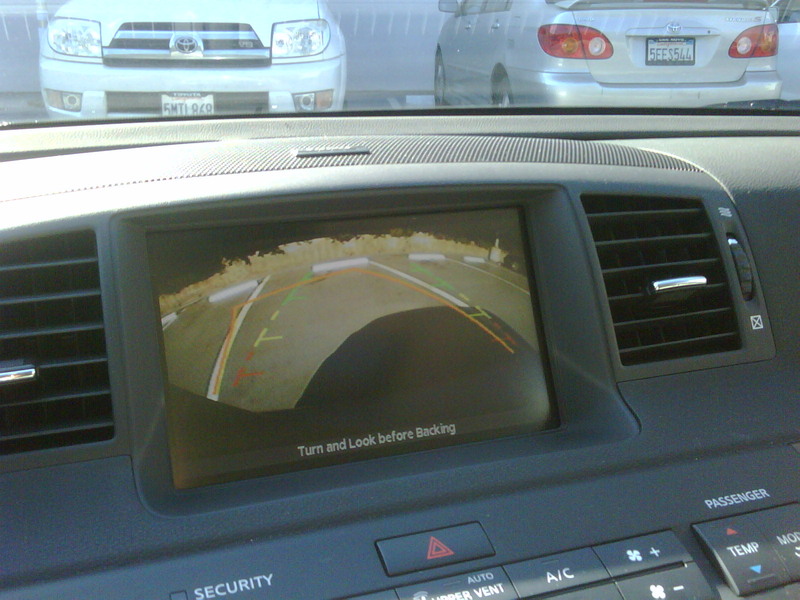 It has a fairly nice back-up camera feature that projects overlay graphics to guide backing up and made parking a lot easier once one got the hang of mapping the camera to motion. Oddly, the car had a feature I couldn’t figure out – a Compact Flash card slot. 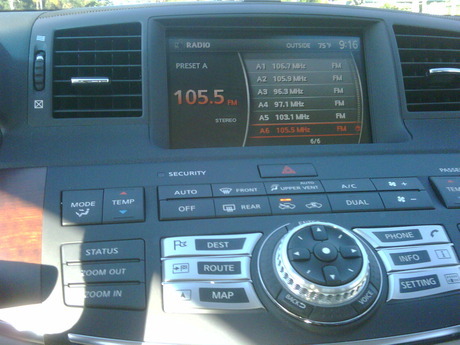 It is unusual not to have a USB interface, which seems more general than something media specific like a CF slot. I didn’t have a CF card to test, but I’d think it is either a way to add data to the GPS or media for the radio.